More detailed info coming up. Goslings are sold in pairs only (typically 1 male, 1 female). Price is based on age of pickup/shipping. Reservations will be placed in the order payment is received. 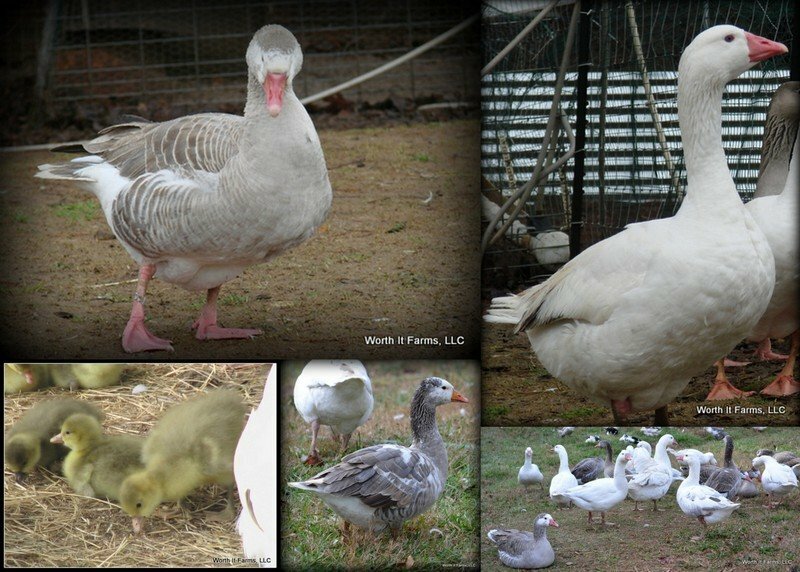 Live Arrival Guarantee for our goslings! SOLD OUT FOR 2019!! Thanks to all of our customers! Whole butchered CTP goose still available, email for details. FOR DETAILS: See our Policies & Procedures page. I understand a $50 non-refundable, but transferrable, deposit is required to be on the waiting list for goslings. READ: By hitting the Submit button, you declare that you have read and agreed to the Policies & Procedures.